Persephenie is the founder of Blunda Aromatics and is a Certified Aromatherapist and a perfumer that specializes in natural materials. Persephenie makes Custom Scents, art when possible, is a part time doula, and loves bringing people closer to nature, through the olfactory, with rare scents from around the world. Blunda is a Swedish word that means to "close one's eyes." 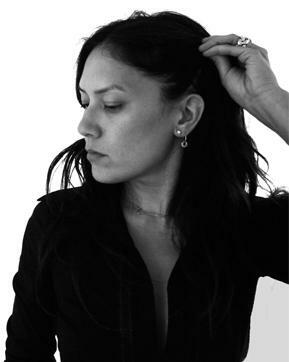 Persephenie is also owner of Blunda Aromatics, an intimate romatic boutique and studio in Los Angeles. 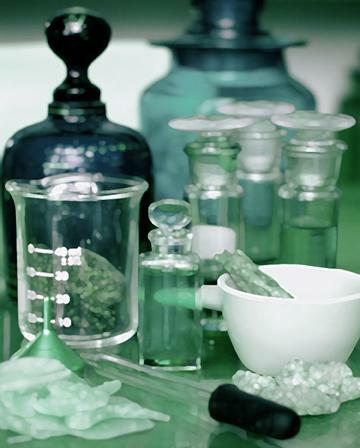 Blunda Aromatics specializes in a wide range of Natural Botanical Perfumes, Essential Oil Pharmacopeia, Exotic Perfume Materials, Classes and Education, and Collectible Treasures. I had the chance to meet Persephinie in Los Angeles this past year, she is a lovely, gracious and warm woman and we are proud to feature her here. Persephenie, what led you to perfumery, especially natural perfumery? Aromatherapy and painting led me to Natural Botanical Perfumery. Although there is creativity in Aromatherapy, it s main purpose is therapeutic and medicinal. Perfumery, like painting, gives you freedom to go in many different directions, to create a multitude of layers, and of course to fashion your own story. And, like a painters colorful pallette, a natural botanical perfumers scented organ offers materials with diverse viscosities, textures, levels of intensity, wateriness, and opaqueness. All this needs to be understood in order to appropriately work with the materials. I am especially fond of the naturals for their supreme authenticity and richness. 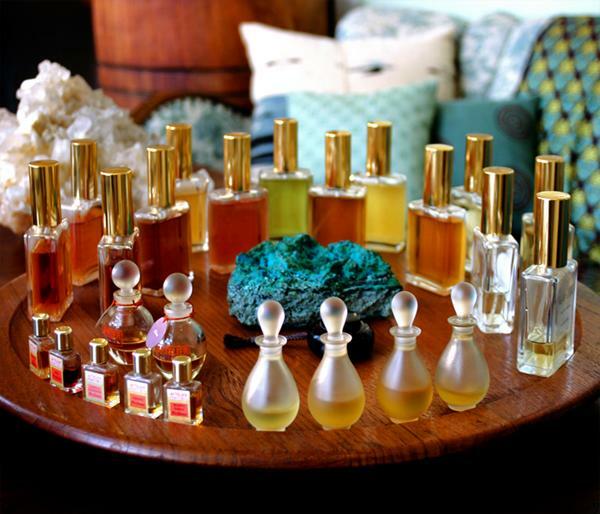 What differentiates your fragrances from other natural fragrance lines? Me of course! The beauty of the Natural Botanical Perfumery movement is in the spirit of not following trends, but rather to follow your own integrity, aesthetics, and judgement. What differentiates my fragrances from other natural fragrance lines is not only the individual aromatics that I am attracted to, but also how I put them together, and construct them as a whole. Tell us about the Persephenie Body Care and Perfumes you are launching in May 2009. I ve been developing my own body care and perfume formulas that I feel proud to share. The Persephenie body care is completely natural, made in my studio, with special ingredients such as wild harvested Blue Green Algae from Oregon in the L'orangerie by the Sea body polish. The Nanu Lei Butter is rich and restorative, with Organic Calendula and Helichrysum, and the Nanu Lei Bath fizzy bath wonders smell so heavenly, they take you on a euphoric escape. My approach to perfumery is different than the Persephenie body care line. Although I'll be introducing beautiful scents to embellish the body, I m also having fun creating perfumes in a conceptual light. For example, when my son was six, he created this character called the Spirit Scientist. The Spirit Scientist not only studies the spirit, but also is all knowing in love, secrets to the longevity of life, destruction, super strength, and more. I ve taken this Spirit Scientist character and made perfumes for all his powers, to enhance these special gifts. Everything from the scent to the packaging supports this concept. There is so much thought and work into each of my perfume projects and their presentation, I realistically can only make a limited amount. Where will your fragrances be available at? 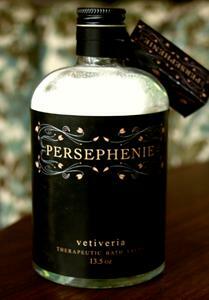 The Persephenie body care will be available at Blunda Aromatics, in the store as well as on line, and at Vert in Venice. Because of the degree of labor and expense, for now, my perfumes will only be available at Blunda Aromatics. What power do fragrances have over people, do you think, if any? Fragrance absolutely has power. I experience and see it ever day in my boutique. Enthusiastic first timers always need to smell everything. They are intrigued and want to be moved. Smell is of course a crucial primal sense that can detect danger, lust, food, attraction, and more. There is often an association or memory that visitors seem to unconsciously search for when sampling the different scents. Some are knowingly seeking comfort in a particular scent, whether for mental, spiritual, or physical use. Others are looking for perfume that best decorates and elaborates who they are. Why do you think so many woman and men are part of this fragrance explosion, especially the niche and natural trend? My experience and feeling is that the niche perfume trend is successful because consumers are tired of mass commercial items that smell similar. They are not only looking for a scent that best elaborates who they are, or who they want to be, but they are seeking perfume that compliments their individuality. People are unique with diverse character. What a better way to convey this uniqueness, through the intimacy of a specialized scent. The natural perfume trend comes from the desire to use products that are both marvelously original and healthy for your body. Natural perfumes are so special, because they use real ingredients from nature and not from a laboratory. Natural ingredients are challenging to manipulate! 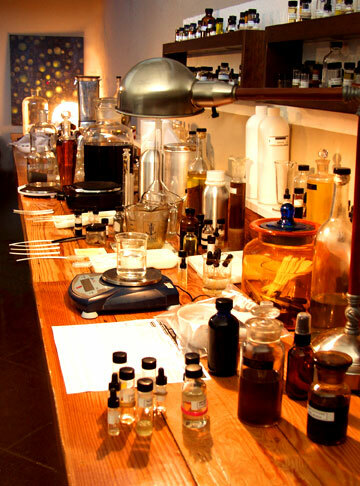 The art of natural perfumery takes real commitment, patience, and experience to master. Natural perfumes do not claw or cling, they will not invade others personal space, and they feel really great to wear. Their genuine authenticity is celebrated and unequivocal. You teach classes in perfumery, own a boutique, and are a Certified Aromatherapist and a perfumer. How do you manage it all? I am enormously inspired and excited about the world of aromatics. There is so much history and culture rich under this umbrella of perfumery, that I am continually stirred. Not only do I manage all this with exhilaration, but, a fantastic assistant, supportive clients, and the pillars of my family have been and continue to be absolutely crucial. Tell us about your upcoming events for all the Los Angeles people that are interested. Starting in late March 2009, Blunda Aromatics will begin show casing Natural Botanical Perfumes each month. The inspiration to create these shows comes from wanting to share these very special perfumes as individual works of art. So much patience, thought, and energy go into creating Natural Botanical Perfumes. They are more than just natural . The materials can be difficult to work with or to come by, you have to patiently wait for perfumes to age before presenting them, the materials can be incredibly costly, and so much more. Many, if not all of these perfumes, are formulated by a solo individual with a strong passion for perfumery, nature, and spirit. Each of these events will focus on one niche perfume, their natural botanical perfumes, and many other aromatic sundries they create. of Velvet and Sweet Peas Purrfumery. Her perfumes are beautiful and so feminine. the first time she is in a boutique, so it is exciting for both of us. Perfumes, and Vancouver perfumer Ayala Morial, from Ayala Morial Perfumes. questions. There will be tea and nibbles sponsored by local LA producers.